Author Written by Varun Maheshwari and last updated on Posted on May 16, 2017 . 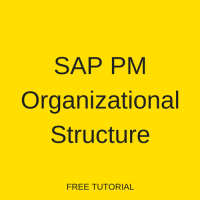 Welcome to the tutorial about SAP PM Organizational Structure! 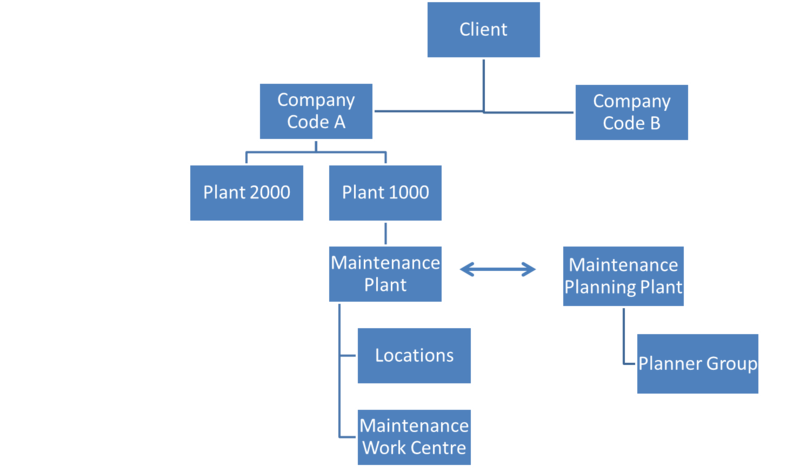 After reading this tutorial, you will learn what is the structure of organizational units in Plant Maintenance module of SAP. Also, we will briefly explain meaning and functions of different organizational units. In SAP PM module, a user can identify organization levels and units that enable automation of business processes. SAP PM is implemented after Finance, Controlling and Materials Management modules are implemented. As these modules are implemented, it means that the company structure is already available in SAP ERP system. Now, the existing structure should be analyzed from plant maintenance point of view and extended to include maintenance specific parts. After the analysis, the maintenance plant(s) is (are) defined in system. Client: Client is highest level of an organization structure. It includes all the subsidiaries within one corporate group. Company Code: Each subsidiary is represented with a company code in SAP system. Each company code has its own balance sheet and P&L statement. Plant: Plant is one the most important structures in SAP PM organizational structure. It is the place where manufacturing of products takes place. One company code can have multiple plants. Maintenance Plant: Organizational unit where operational systems are installed is called a maintenance plant. Maintenance Planning Plant: This is a plant at which the maintenance operations are planned. 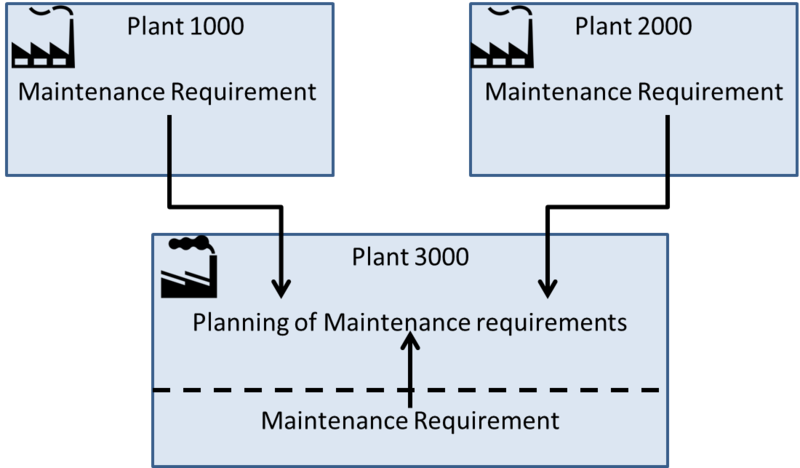 It is possible that requirements come from own plant or from another maintenance plant assigned to the maintenance planning plant. In most cases, the maintenance planning plant is same as the maintenance plant. Plant section: A maintenance plant can be divided into subparts which are known as plant sections. For example, a plant can be divided into production area, store, electrical substation, etc. Location: Location is the place where a functional object is physically installed in a plant section. It is used for informative purposes. Maintenance Planner Group: It is a group of employees responsible for planning and processing of maintenance tasks in a plant. A different maintenance planner group is created for each plant. Work Center: Work center is an organizational unit where maintenance activities are performed. It belongs to master data. Work center defines where and when the maintenance operation will be performed. Work center is assigned in task list, maintenance order, and maintenance operation line items. Machine/group of machine or person/group of people can be represented as a work center. Costing: There is link between a cost center and a work center. Costs can be calculated if a work center is assigned in a maintenance operation because the link to the cost center provides the activity type. In activity type, the rates are maintained on a variable basis or as fixed rates. Scheduling: Scheduling is used determine start and end dates of maintenance operations based on a predecessor or successor operation. During scheduling, the start date and end date are calculated based on formulas maintained in the work center. Capacity Planning: The formulas related to capacity planning are stored in the work center. In capacity requirement planning, the required capacity for operation is determined from the available capacity in the work center. Great job..this document is providing very good information. Please post documents related to capacity planning with SAP screen shots.